Thank you for visiting Lake Country Door. 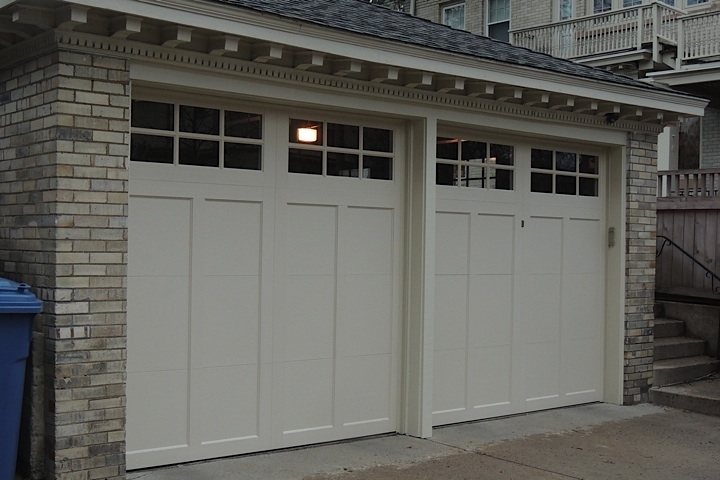 We offer sales, service and installation on a wide variety of garage doors, both residential and commercial, as well as many overhead door openers. With access to our manufacturers located throughout our site, you’ll find pictures and ideas for the right door and opener for your home or business. We can help you create the look you want with many options in colors, windows and door designs available. Lake Country Door is a family owned and operated business that has served Minnesota and Wisconsin since 1991. Rest assured that we will provide you with the fast, professional and courteous service you expect and deserve. Whether you need a whole new door or an existing door repaired, we promise to give you the best service available. "A sincere Thank You to John for the after hours repair!!!!" "I just wanted to take this opportunity to let you know how much we appreciated your prompt response to our overhead garage door needs. The same day service was great, and Ryan, the service repair tech, was "WONDERFUL"!! He worked quickly, and provided very professional services. KUDDOS to you Ryan! We anticipated that the cost would be outrageous, but, to my surprise it was VERY reasonable. The service guarantee is wonderful and not offered by many today. My husband and I both work in Polk County, and we will be recommending your services to anyone in need of overhead door service. Thank you so much your your assistance in our time of need!" "Lake Country Door has been taking care of all our garage door needs at the water treatment plant since 1991... John and his staff are very personable and great to work with. I highly recommend Lake Country Door to any home or business!" "I would like to compliment your company for the superior service that I received with my purchase of two garage door openers and installation. The process was simple, the pricing was simple and fair, and the service was extraordinary."